AlphaTauri designs are driven by purpose and innovation that's enriching for both body and mind. Their SS19 collection “People of the New Sun” takes the viewer on a journey through an AlphaTauri metropolis where the sun shines with reinforced brightness. “People of the New Sun is not a campaign as such, but a launch of imagery to express the core values and spirit of the brand.”; explains Ahmet Mercan, General Manager of AlphaTauri & Head of Global Consumer Products Red Bull. Drawing inspiration from both the urban and natural landscape, the colour palette of the Spring/ Summer collection reveals nuances of Grey and Beige contrasted with energetic Blue and Silver shades. The Silver shades add a clean but sporty finish clashed with cherry reds and bright yellow to reflect the evolution of metropolitan culture. The SS19 collection showcases a range of premium outerwear including the water-repellent summer parka (for women and men) with an integrated packable system and taped seams. 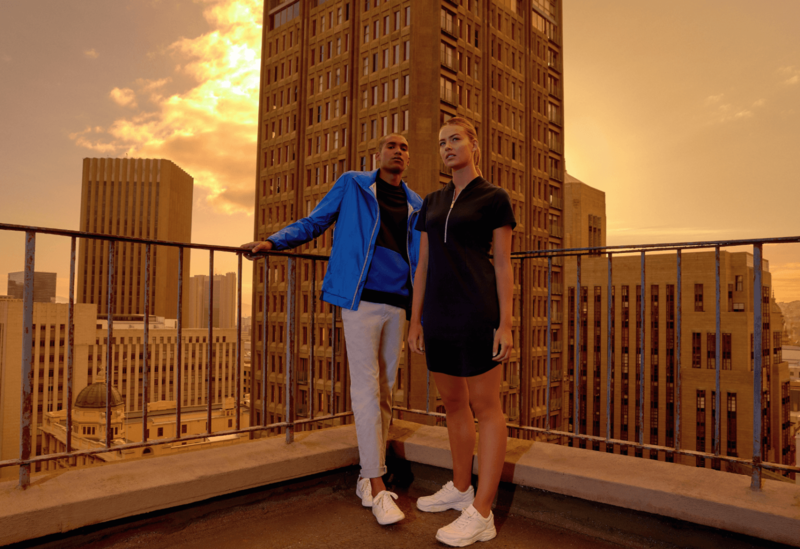 Key collection highlights include the ultralight packable jackets with smart travel features, as well as the revitalizing Taurex® pieces, complemented with premium essentials like dresses, shorts, and T-shirts. Prices start at 79,90EUR for the knit polo and 149EUR for the packable jackets, rising to 399EUR for the women and men Summer Parka.